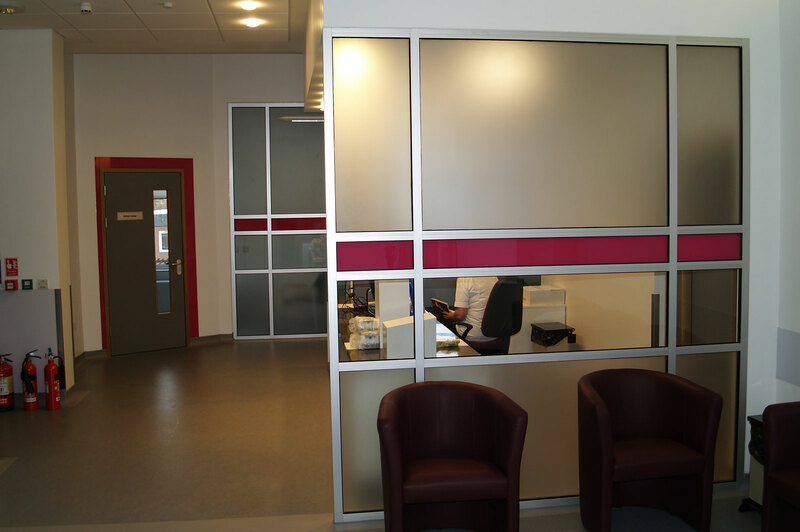 Backpainted glass in Pomegranate, sandblasted glass screens for the reception and waiting area to the ground floor treatment rooms. 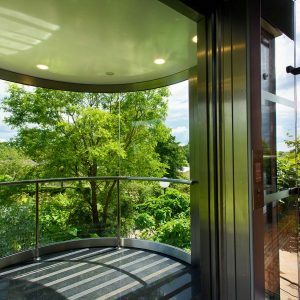 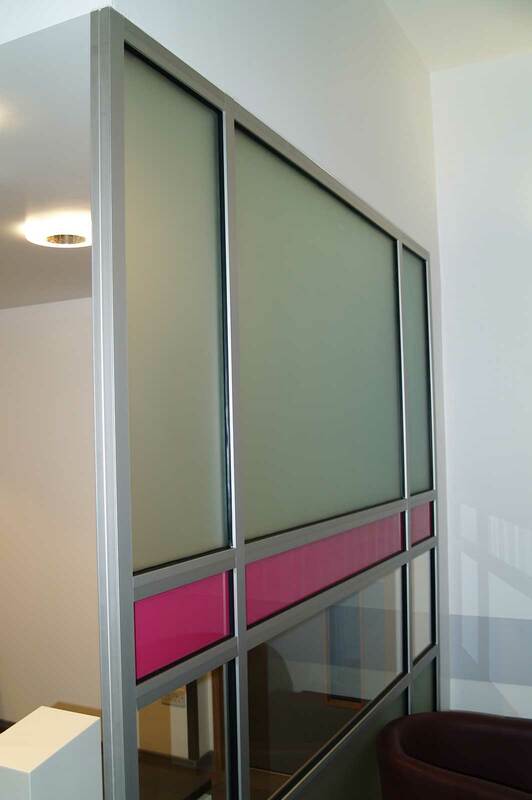 Ion manufactured bespoke metal frames to house a combination of sandblasted glass (frosted glass effect), Pomegranate coloured glass and low iron (extra clear) glass, creating a striped effect with a modern art deco theme. 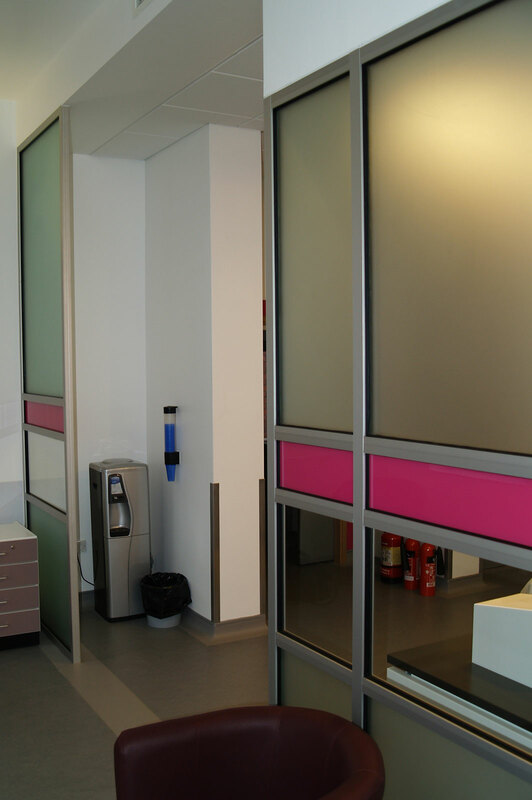 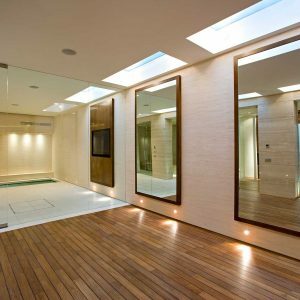 The glass wall partitions work well in providing partial privacy, necessary in reception/waiting areas and maintaining light flow. 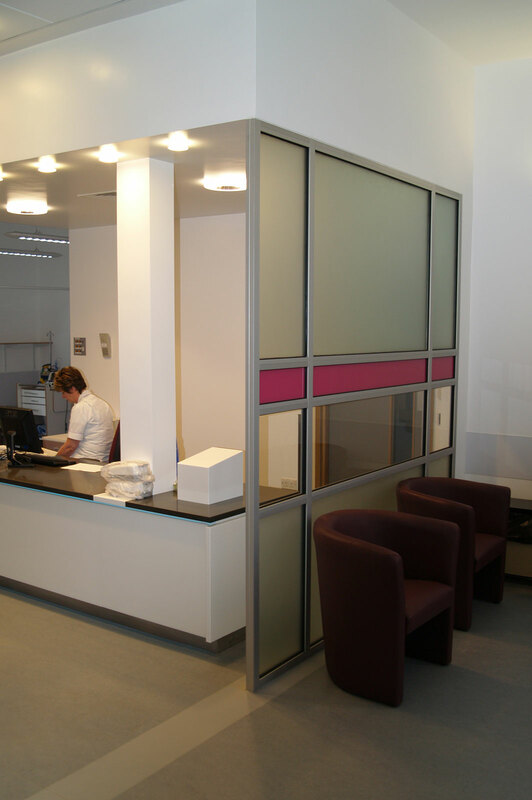 The Pomegranate colour theme is used in several areas of the Hospital.